Understanding the opportunity in qualified opportunity zones | Woods Fuller Shultz & Smith P.C. Now may be the time to sell your low-basis assets. As stated in the 2017 Tax Cuts and Jobs Act, if you invest the proceeds of such a sale into a qualified opportunity fund, you may be able to defer the tax associated with the sale of such assets and, in certain cases, either cut down on the gain on which you are taxed or eliminate the tax you owe entirely. How is this possible? Enter “qualified opportunity zones.” Qualified opportunity zones are creatures of the U.S. tax code designed to spur economic development in low-income areas by providing certain forms of tax relief for money invested in qualified opportunity funds. The 2017 Tax Cuts and Jobs Act created qualified opportunity zones, and governors nominated low-income areas within their state, which were then approved by the Internal Revenue Service for preferential tax treatment. 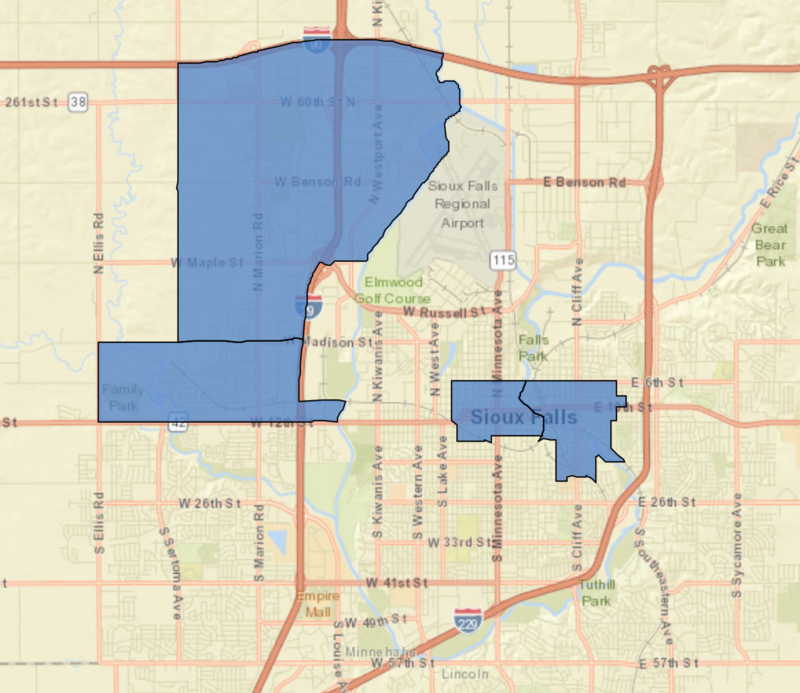 The following map highlights the locations of qualified opportunity zones in Sioux Falls. Under the framework set out in the 2017 Tax Cuts and Jobs Act, a taxpayer may defer the tax on any gain associated with the sale of property to an unrelated person, so long as within 180 days of such sale, the taxpayer invests such gain in a qualified opportunity fund. Of course, if the taxpayer only invests part of the aforementioned gain in a qualified opportunity fund, the taxpayer may only defer tax on the amount of the gain invested in the qualified opportunity fund. Qualified opportunity funds may be organized as corporations or partnerships. Limited liability companies also may be organized as qualified opportunity funds if the limited liability company is taxed as either a corporation or partnership. To become a qualified opportunity fund, the corporation, partnership or limited liability company must file IRS Form 8996 with its federal income tax return. Qualified opportunity funds are required to invest heavily in qualified opportunity zone property. There are three types: qualified opportunity zone stock, qualified opportunity zone partnership interest and qualified opportunity zone business property. Taxpayers may defer tax on any gains subsequently invested in qualified opportunity funds until the earlier of the date the investment in the qualified opportunity fund is sold or exchanged or Dec. 31, 2026. As described more fully below, however, there are incentives for the taxpayer to maintain his or her investment in the qualified opportunity fund. If the taxpayer holds the qualified opportunity fund investment for at least five years, there is a 10 percent exclusion on the deferred gain, and if held for at least seven years, there is a 15 percent exclusion on the deferred gain. If the taxpayer holds the qualified opportunity fund investment for at least 10 years, the basis of the investment is deemed to be “equal to the fair market value of such investment on the date the investment is sold or exchanged.” In other words, there is no tax imposed on the deferred gain. Qualified opportunity zones have the potential to provide numerous tax benefits to taxpayers. This program will continue to evolve over the coming months as the Treasury Department and IRS issue additional rules and guidance. Copyright 2019 Woodsfuller.com. All rights reserved.